Have you ever traveled in winter when it’s freezing cold while sightseeing outdoors but you roast the minute that you walk indoors? That’s just one of the other challenges of packing for the winter. Find out what clothing tips our readers recommend to avoid having this issue! I’m heading to the UK for Christmas. Does anyone have any tips for dressing for cold weather AND over-heated indoors? My usual outfit would consist of a thin merino base layer, jeans and wool blend jumper or dress, and coat – this works fine for outside but I overheat in shops and it’s tricky to remove the base layer. I’m from Australia and I really struggle in the central heating. As someone who has been living in England for the past few years, I can safely say this is all too accurate! While I’ve slowly become more used to the chilly winter weather, it can be more of a struggle finding a balance between staying warm when outdoors but not overheating once you step indoors. For days when you plan to spend a lot of time indoors, skip the base layer altogether. Unless you’re spending extended hours outdoors then you’ll probably be warm enough with a wool pullover plus a good coat. When I was recently doing a two-week course in London, I only wore a thin coat because I also overheated going from the warmth of the Tube directly to the heated building where I spent the rest of the day. I would briskly take a 30 minute walk back to my Airbnb in the evenings, so even without a thick coat or base layer, I was sweaty! This strategy may not work for all days on your trip but it might be good for museum or shopping days. Find out what’s the best down jacket for your cold weather travels! Think of an onion and its many layers. Start with thin pieces closest to your body and work your way up to thicker pieces until you reach the coat layer. Depending on how cold it is, this may mean wearing a thin shirt under a sweater under a vest under a coat. The key is to use thin layers so they’re easy to store in your purse while you’re indoors. You can also keep layers stored in a packing cube inside your day bag, too. Learn more about how to layer clothes for winter. 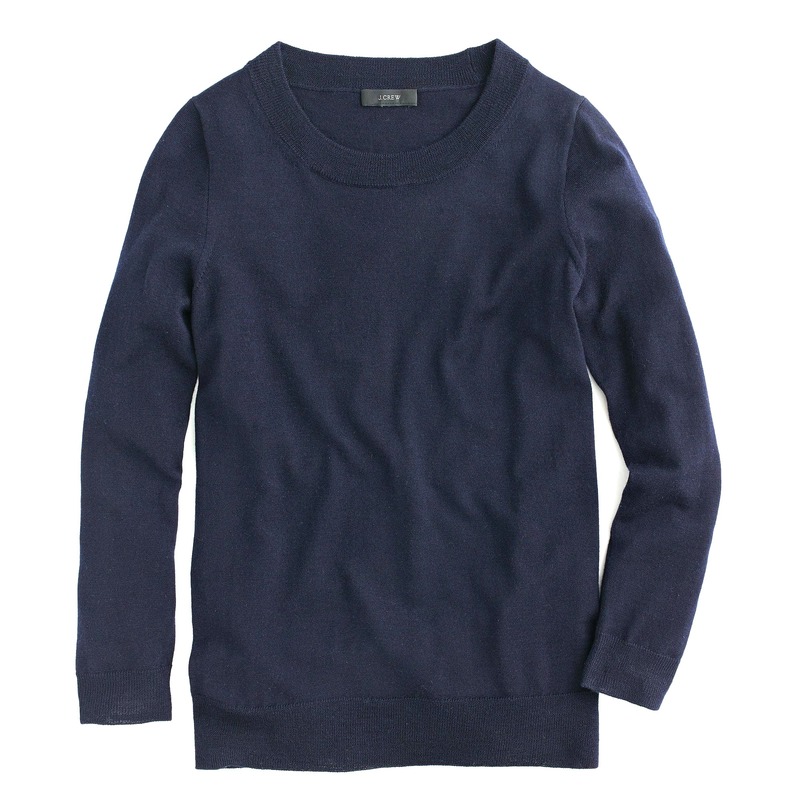 Thermals tend to be long sleeved but you can use a short sleeved or sleeveless top as a base layer instead. When it’s freezing outside, the last thing you can imagine wearing is a short sleeve shirt. However, it’s a good way to cool down when you go indoors or head down to the tube where it can get sweaty and muggy. 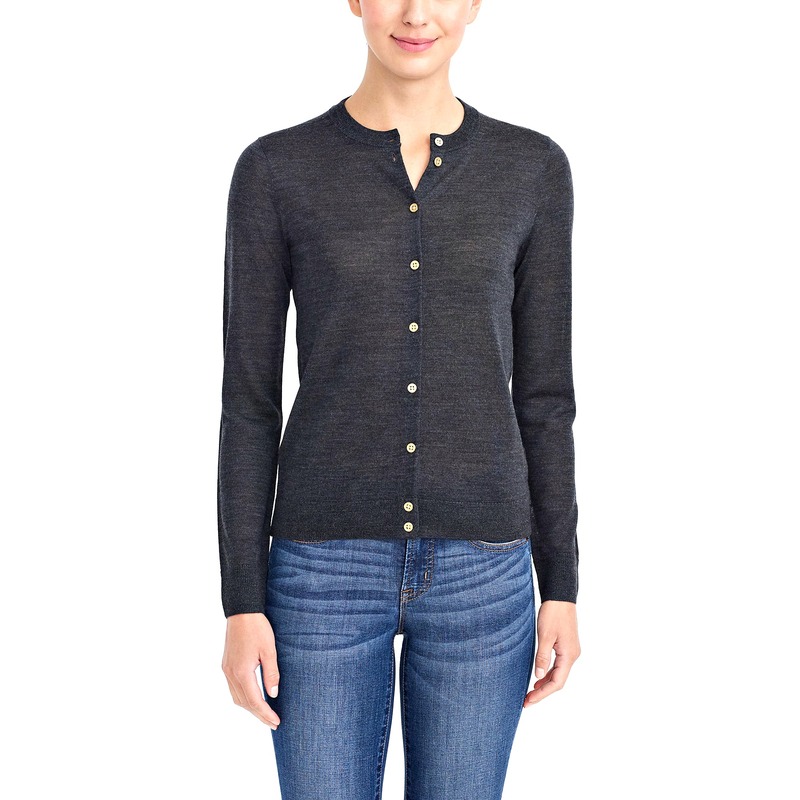 Choose from this and this round up of the best thermals for women! While jewelry serves as an accent year-round, winter accessories are as functional as they are stylish. The ultimate accessory heroes are scarves and hats, as they keep parts of your body warm that other clothing can’t, such as your ears and the back of your neck. This strategy could be combined with the first one where you would skip the base layer all together. Remember to use a purse, tote, or purse backpack with enough space to store your warm accessories once indoors. Tip: use a small scarf like a neck gaitor so you stay warm when you’re outdoors but you can easily store it away when indoors. 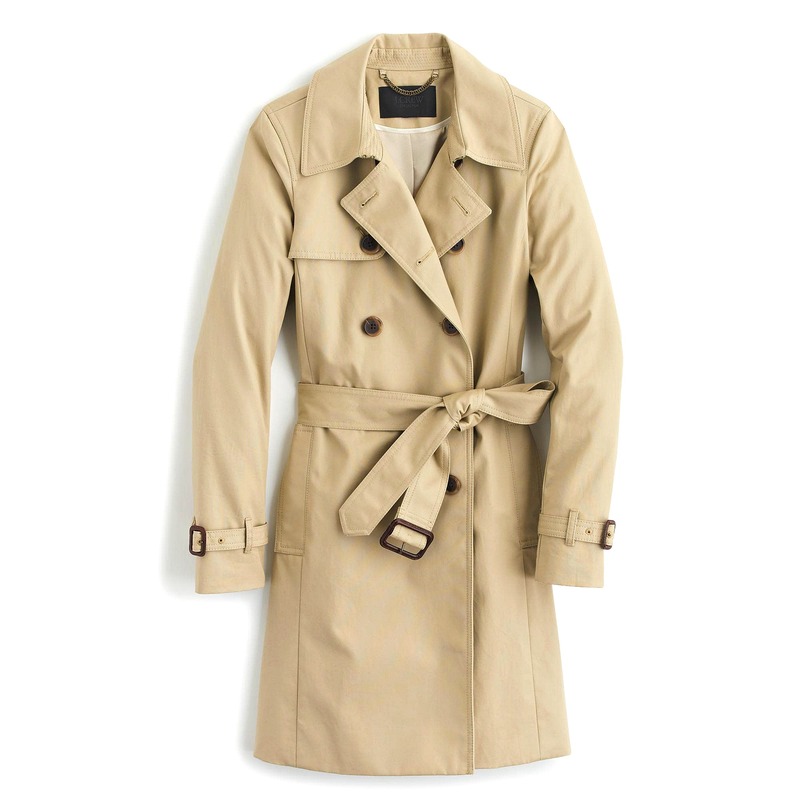 Skip the short puffers and jackets and go for a good old fashioned long duster coat. 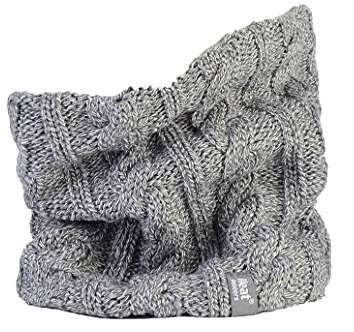 These help keep your bottom and legs warm, which can help you feel more comfortable when walking around outdoors. Plus, it’s easy to take off when you go indoors. Keep in mind that you need quality underlayers if you’re opting for a thin coat so stick to fabrics such as merino wool that are thing yet very warm. Find out why merino wool is the best fabric for travel! Fabrics play an important role for bundling up. While breathable, cotton isn’t too warm, so you have to wear thicker layers to stay warm. But fabrics like merino wool insulate heat, keeping you warmer. 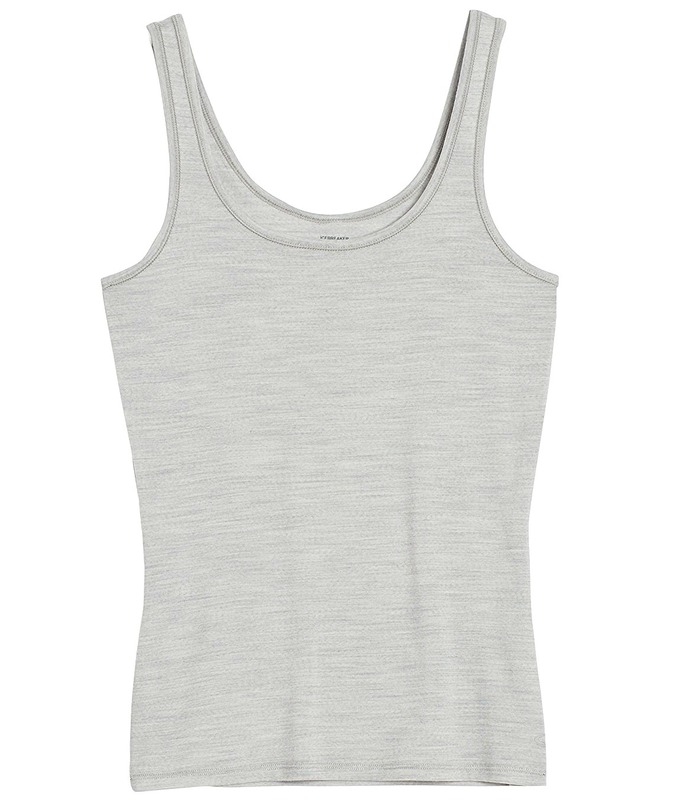 Especially for base layers, look into fabrics that keep you most comfortable. Take a look at this winter packing list featuring the above sweater as part of my strategy to stay warm without the bulk! Don’t Forget About Your Feet! When we think about cold weather apparel, we often forget about our feet and toes, which are just as important. If anything, it’s even more important to keep your feet warm, as they’re closest to the wet or snowy ground. One reader says, “Thick socks and waterproof boots are a must, as cold toes equals cold bones!” Consider wool socks (which tend to wick moisture) and go for a waterproof boot to keep your feet warm and dry in case it starts snowing or raining. 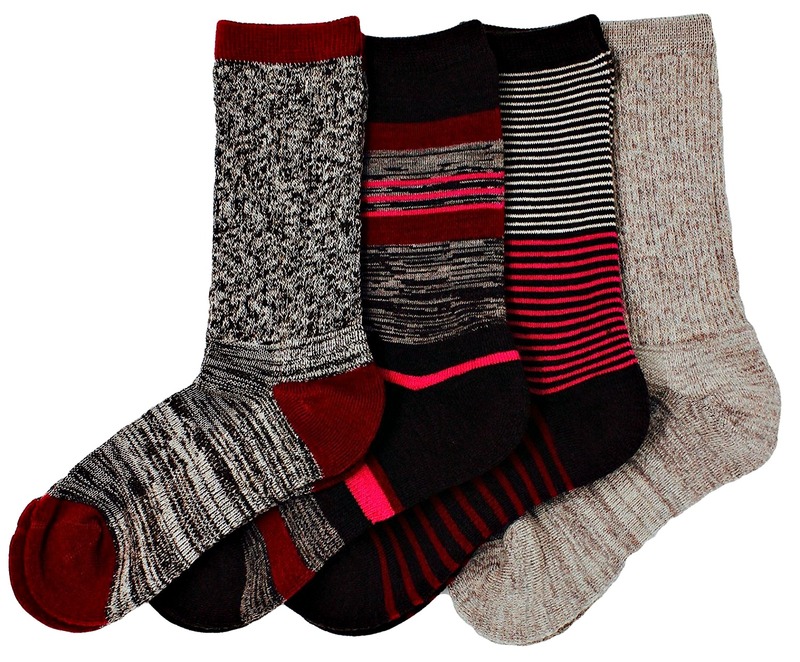 For more options, please read this post on the warmest socks for travel! Do you have any tips to add on how to dress for cold weather without overheating indoors? Comment below! 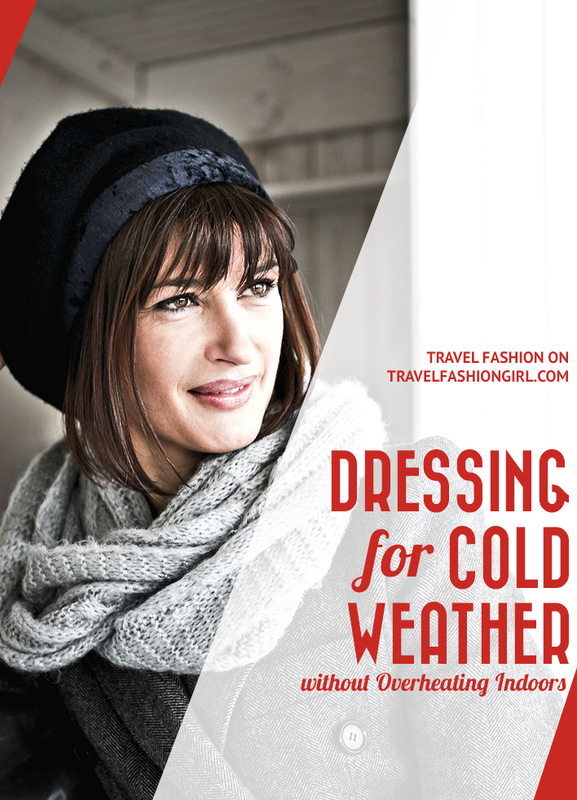 I hope you liked this post on how to dress for cold weather without overheating indoors. Please share with your friends on Facebook, Twitter, and Pinterest. Thanks for reading! When I travel to cold spots (NYC in winter anyone? 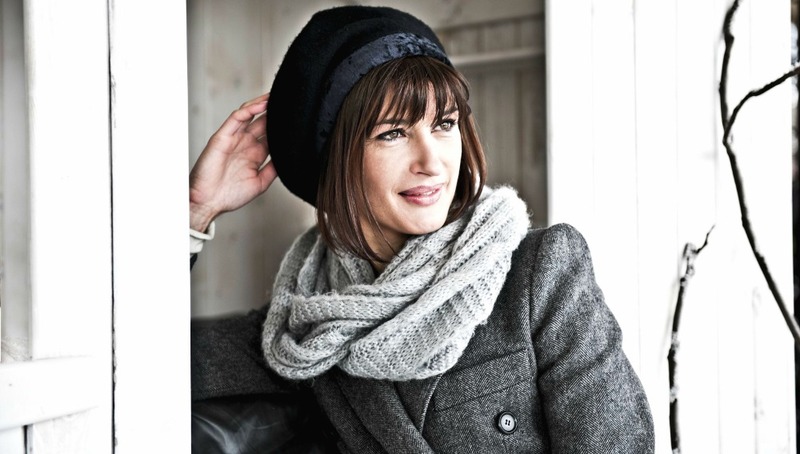 ), I follow the above suggestions with layers, a warm hat, scarf, and gloves. My tip is always to have a small security backpack or tote for stowing hat, scarf, and gloves once inside. Put accessories in the pack or tote as soon as moving indoors. Take off the coat, zip or button up, and tie the arms around your waist with the coat body at your back. This might not have the “fashion look” but one can go from outside to inside without overheating. Brands perfect for travel include Eagle Creek (semi-secure), Pacsafe (very secure and my go-to), Baggallini, and LeSportsac for a tote. LeSportsac totes, which are made of a thin but very sturdy nylon, can be packed very flat in a carryon outer pocket (along with hats) and double as a shopping bag for groceries and purchases. I know it’s not a fashion thing, but good reminder for cold weather (especially when travelling, since so many of us tend to get distracted and lose track of our meal times! At least from my experience (^-^;)) is, simply, EAT! Remember to eat, and to eat enough–good circulation is partly built on having enough in your belly for your body to actually stay warm, which can help loads with whether or not your layers actually help. This is especially important if you’re going around doing a bunch of activities or otherwise exerting more stamina than you would be at home. I have spent several very cold weeks in and around London during the past year – we even had snow for a couple of days. I think the key is to dress comfortably for the ‘inside’ heated areas you will be in and have a great coat, gloves, scarf and head covering for the times you will be outside. I never wear pure wool close to my skin as I find it too scratchy and hot. 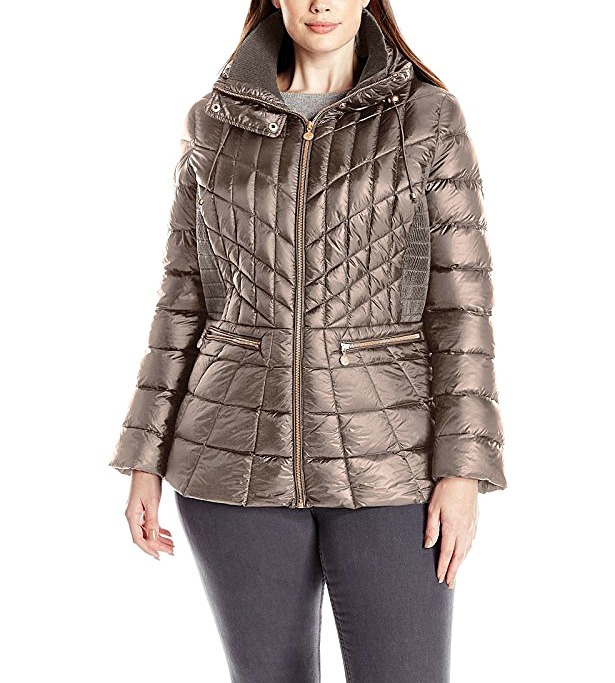 I wore a sleeveless t-shirt, long sleeved shirt or top and a cardigan with skinny jeans then added my super uniglo light-weight quilted down knee-length coat outside. Adding gloves and a scarf and beanie if needed. This was perfect for in town. Of course if you are spending all your time outside you will need sturdier garments.